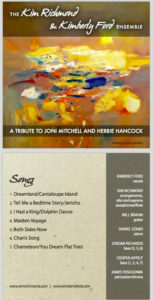 Honoring the music of Herbie Hancock and Joni Mitchell, The Kim Project intertwines the artistry of these two luminaries with original arrangements of their songs. Herbie and Joni worked together at an extensive level, both being on several of each others’ recording projects, but their careers have coincided in many ways. The band plays new arrangements of both Joni and Herbie compositions, and on many of the selections, music from both is presented as one. 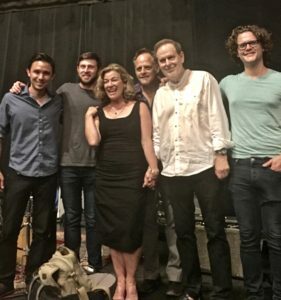 A seasoned expert in Joni Mitchell’s repertoire, Kimberly Ford performs faithful renditions of Joni’s songs. She also sings vocals on the instrumental sections of many of the arrangements, all of which are written by Kim Richmond. Featured often are Will Brahm on guitar, as well Kim Richmond’s alto or soprano saxophone. 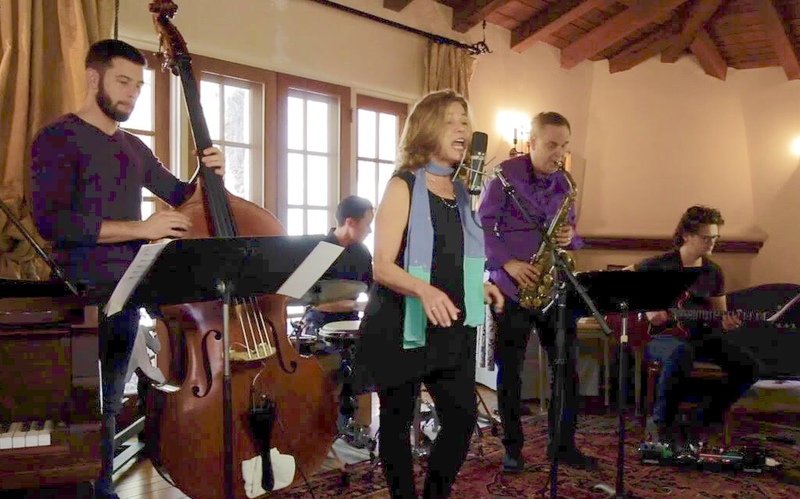 The Ensemble consists of vocal, alto/soprano saxophones/flute, guitar, piano, bass, percussion. We invite you to view one of our new videos.